Niseko has some of the best night skiing and snowboarding in the world and we thought it would be rude not to hit the mountain during a March snow storm. The upper lifts had been closed all day but we still found plenty of fresh snow riding from the Center 4 lift. Roll on next season when we can do it all again! 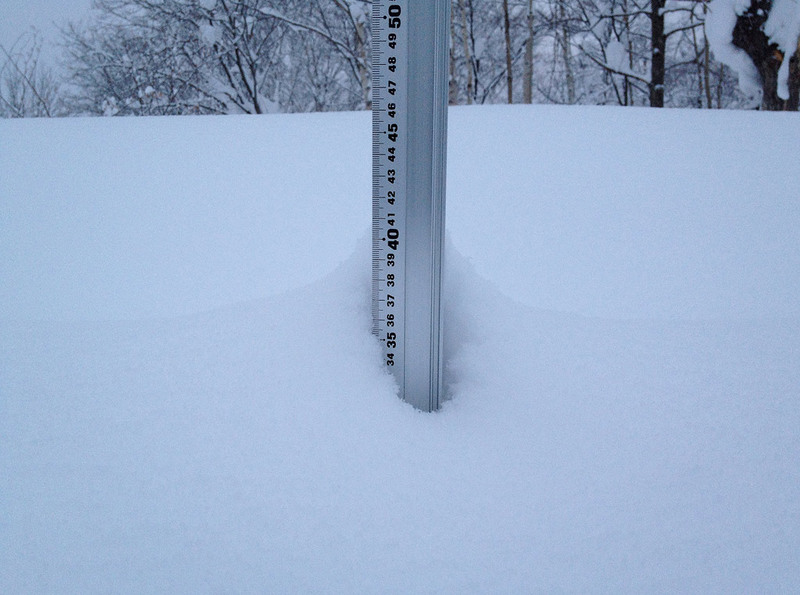 Why not follow us on Twitter or Like our Facebook page to find out when the snow starts falling in Niseko for the 2012-2013 season? Wasn’t this pic taken years ago? Thanks for checking out the post and we appreciate your eye for detail. Yes that image you are referring to was taken a few years ago by me ( http://www.glenclaydon.com )in Hirafu but still works for us here at 360niseko – Cheers. I love the Last Night Ride film, looks great fun. aka No1 fan 360 niseko! from another mum, 360niseko’s other no.1 fan, can see why my son also loves working and shredding in Hirafu..thanks for enabling me to be part of the adventure and the sheer beauty of the pics..awesome. You also have a virtual son living in Japan then? It’s great to catch up on what the boys are doing over there. I have to check into the blog every day. Glen’s photography is fab, the boys are very creative and what a life style, not that I’m envious or anything………………..! hi Julia, yes, early cuppa over 360 and my day is right..have loved the connection these last few months and nooo, I’m not envious either..he’ll be back in oz soon and then Niseko next season..thank you Ben and Glen, excellent blog – maybe we’ll get there as well 2012-13..amazing, 20m’s and still coming!